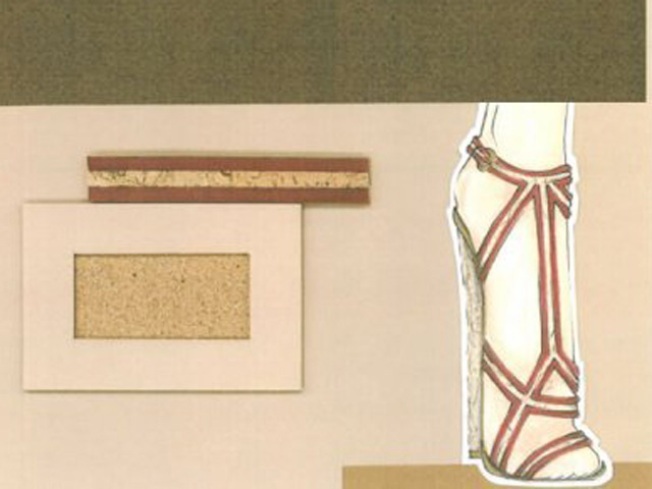 When Miami International University of Art and Design student Mariana Frontado heard about Donald J Pliner's contest to design a shoe for his new collection, she didn't think she had a chance. "My professor suggested I participate in the contest even though it was for accessory design and not part of curriculum. I took the challenge and after a couple of weeks, I was told I had won. To say the least, I was pleasently suprised." Frontado was picked as the winning designer for Donald J Pliner's contest for which aspiring designers were challenged to design a shoe for Pliner's foundation, Peace For The Children. Peace For The Children was created by Pliner and his wife, Lisa, to channel funds to deserving projects and initiatives that advance peace, care, and welfare to children. Knowing that winning would not only give her a little street cred, but would also do some good, Frontado immediately started laying out her ideas. "I value Donald Pliner as a designer and own three of his designs. That, combined with four days of non-stop sketching, I developed four shoes and was thrilled that one was chosen." Frontado knew from an early age that fashion was for her. Playing with fabric and making outfits for herself as early as she can remember, this Venezulian native knew that with her love for fashion and a little hard work, that maybe she could pull this off. The rest is history. Frontado's not sure if her design will be included in Donald's upcoming collection; the thrill of winning is good enough for her and the prize money's pretty nice, too. "After very strong temptations to spend it all on a shopping spree, I resisted and am saving it for a summer program in Paris."